Mesothelioma is a malignant tumor that involves mesothelial cells that normally line the body cavities, including the pleura, peritoneum, pericardium, and testis. Testicular mesothelioma (TM) is a rare type of mesothelioma that affects tunica vaginalis, tunica albuginea, spermatic cord, and the epididymis. The frequency of TM is unknown; however, fewer than 100 cases have been reported across the world. A 47-year old male presented with a painless scrotal swelling of 3-month duration with no history of testicular trauma or any inflammatory manifestations. Clinical and sonographic examination revealed right-sided scrotal hydrocele. The patient was scheduled for subtotal excision of the tunica vaginalis. During surgery, the surgeon observed multiple variable-sized suspicious nodules on the visceral surface of the tunica vaginalis. Upon excision of the tunica vaginalis, the specimen was sent for histopathologic examination which concluded the diagnosis of malignant mesothelioma of the tunica vaginalis. Complete metastatic work-up was performed, and no metastatic deposits were identified. The patient then underwent high inguinal orchiectomy which revealed residual mesothelioma in the remaining parts of tunica vaginalis and epididymal area, yet the testis and spermatic cord were free of malignancy. TM, although a rare entity, should be included in the differential diagnosis of scrotal and testicular complaints. 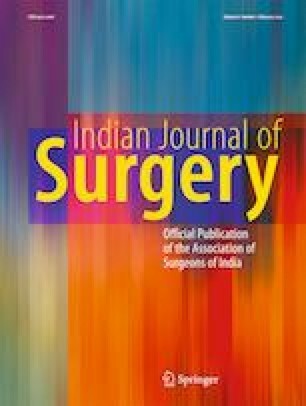 Careful assessment of the tunica vaginalis during scrotal and testicular surgery is crucial since TM can be incidentally discovered during surgery. Histopathologic examination of any suspicious lesion in the tunica vaginalis is imperative to exclude malignant mesothelioma. All authors contributed to data collection, writing, and critical revision of the manuscript.